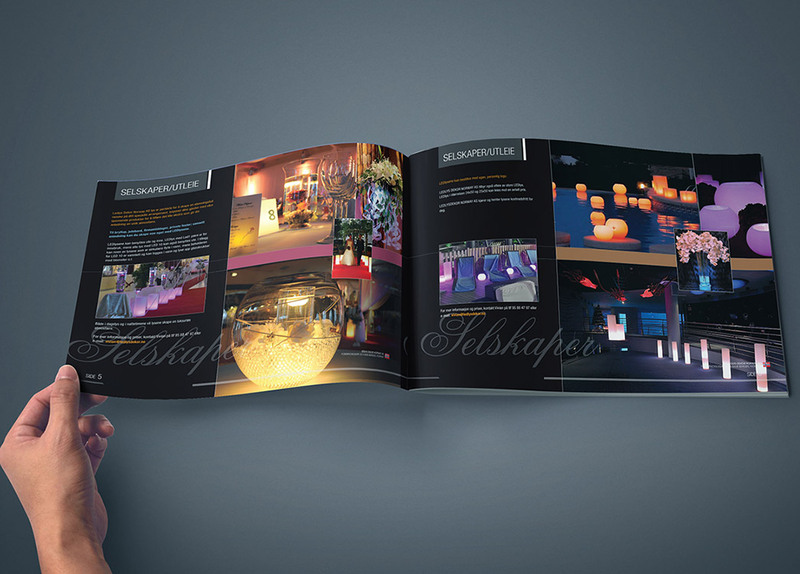 Ledlys Dekor who are a Norwegian Company, required a new corporate brochure design to showcase their latest range of remote controlled LED candles. Their sales force needed it to be a simple yet eye catching and elegant design to match the exclusivity of the restaurants and bars they were approaching. We based their brochure design around the new website that we were also commissioned to produce so that the brand worked seamlessly across both mediums. The final A4 artwork was printed on a high gloss 130gsm paper to ensure no show-through on the inner spreads. A heavier weighted matt paper stock was used for the cover with some spot varnished areas to give the maximum effect of quality. These strong contrasting colours came out wonderfully in print and the client was extremely please with the overall final result. 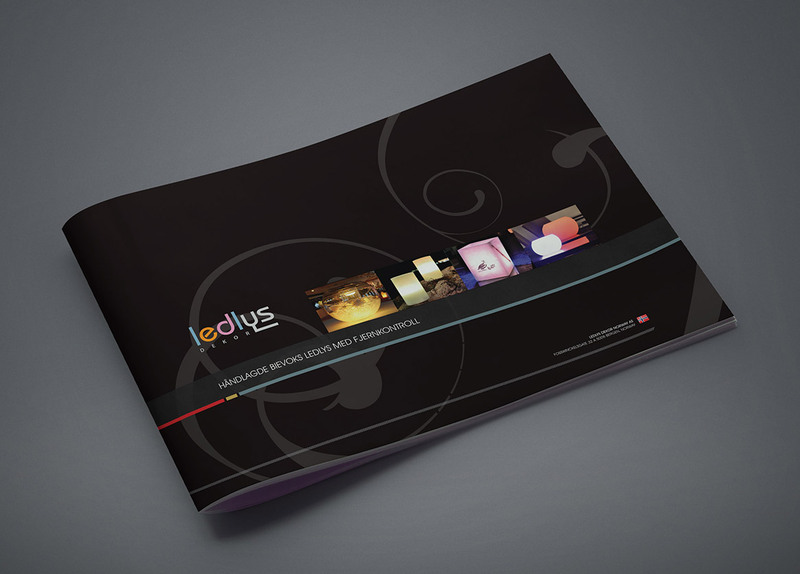 As a result, Ledlys Dekor have grown dramatically in the last 18 months and have vastly expanded their product range and now require a completely new brochure design.